In addition to pleasing many people palates, Peppers are also a great source of Vitamins, and other nutrients. They have been included as one of the worlds “Ten Superfoods”by prominent doctors! 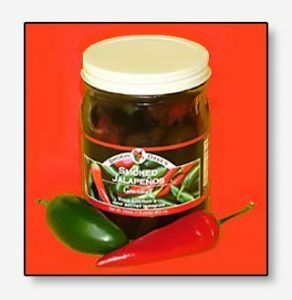 Please read “Heat Helps the Heart” article from Chile Pepper Magazine to see why. Cultures that consume peppers in their regular diet have much lower rates of heart attacks, pulmonary embolism, and stroke. They reduce the likelihood of developing heart disease by lowering blood cholesterol and triglyceride levels, They reduce abnormal clotting by increasing the body’s ability to dissolve fibrin, a substance integral to blood clot formation, And they help reduce plaque build-up in the arteries. Capsaicin has recently been the subject of many studies. It is an All – Natural substance that has been proven useful in the treatment of many diseases and symptoms. Following are “Just the Facts Mam”. 1. Rich in Beta-Carotene, a powerful anti-oxidant that makes it useful in preventing free radical damage that can lead to atherosclerosis, colon cancer, and diabetic complications such as nerve damage and heart disease. Beta-Carotene is also helpful in reducing symptoms of asthma, osteoarthritis, and rheumatoid arthritis. The body also can convert beta-carotene to vitamin A – also called the anti-infection vitamin. 2. Capsaicin is an effective treatment for sensory nerve fiber disorders. These include arthritis, psoriasis, diabetic neuropathy. It also is an anti-inflammatory. It reduces the formation and release of a neuropeptide (commonly called substance “P”) in the body that is associated with the inflammatory process. 3. Topical capsaicin has found many uses. Among them are reduction of the debilitating pain from diabetic neuropathy, cluster headaches, and arthritis. A familiar name to some might be Zostrix, or Menthacin – whose active ingredients is capsaicin. 4. Capsaicin is similar to a compound in many cold remedies that help to break up and relieve congestion. Except that capsaicin works much faster. Just try adding a little cayenne or smoked jalapeno to your next cup of tea. Or for faster results just take a bite of one. Next cold season give it try. 5. Peppers actually stimulate the cells in the stomach lining to cause them to secrete ‘Juices’ that not only kill bacteria, but help prevent stomach ulcers. Contrary to popular belief, peppers are actually associated with a reduced risk of stomach ulcers! 6. Peppers aid in weight loss. The laws of thermodynamics apply to pepper consumption. More energy (calories) are consumed when your body is ‘Hot’. 7. Peppers boost the immune system and aid in combating the common cold. The benefits of peppers are so numerous it would take a book to list all of their powers. In fact, many books have been written.